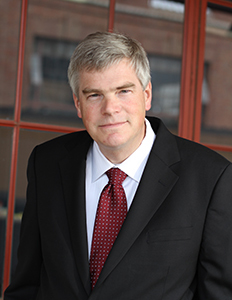 Blair W. Will is of-counsel with the Pioneer Law Group. Blair’s legal practice focuses on environmental law and land use, including NEPA, CEQA, CERCLA, Clean Water Act, Clean Air Act, real property development, remediation of contaminated properties, eminent domain, water law and utilization of natural resources. He has extensive experience litigating these types of matters, in state and federal court and in administrative-law venues. Blair also has significant experience on the transactional side, particularly in the areas of entitlements and permitting, resource extraction and royalty agreements, and water transfers. In addition to land-use-related matters, Blair has many years of experience in Indian law, representing public and private clients in court, administrative proceedings before the BIA and Interior Board of Indian Appeals, and tribal court. Finally, Blair is a general business-law practitioner, advising both U.S. and international companies regarding U.S. corporation law and compliance with U.S. environmental regulation. A native New Yorker, Blair obtained a B.A. from Colgate University (1990) and a J.D. from the University of San Diego School of Law (2000). He is a member of the Sacramento County Bar Association and is admitted to all courts in California. In his spare time he enjoys skiing, hiking, all forms of motorsports and tinkering with classic cars, especially British sports cars.